From reliable rock salt delivery to proprietary liquid and solid deicers, Central Salt has you covered. Central Salt's quality agricultural salts are ideal for feed or free choice. Winter weather weaves unpredictable patterns, so slicing through the season's worst requires a rock-solid salt and deicing chemical supplier. 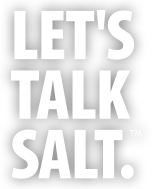 When you choose Central Salt™, you gain our steadfast service commitment, extended seasonal depot hours and expert technical support. We provide a steady stream of competitively priced deicers you need to ensure public safety and maintain the flow of local business. Central Salt also delivers much more than rock salt and deicing chemicals for snow and ice control. Our wholly owned mine in Lyons, Kansas, also produces agricultural salt. Plus, our relationship with OxyChem and others equips us to supply you with superior enhanced solid and liquid deicers and dust control products. Proprietary formulations ensure unmatched performance in special-use and low-temperature applications. Perhaps most important, Central Salt has strategically located rock salt stockpiles and packaged deicer warehouses in Illinois, Iowa, Kansas, Kentucky, Ohio, Pennsylvania, and New Jersey. Central Salt can fulfill your demand for salt and specialized deicers so you and your customers are never left out in the cold.